*I received this eARC from Netgalley in return for an honest review! I'll be honest, when I started this book I was incredibly nervous that I would be unable to give a completely honest review, mostly because of the topic of the book. I didn't want to be that person who gives a book about a school shooting, a topic that is constantly on the news, a bad review, and is seen to 'disrespect' those who have been effected by real life school shootings. I believe that that may be something everyone has to come to terms with before picking up this book. Now, that's not to say I'm about to launch into a review saying how much I disliked this book, quite the opposite, but I did want to share my frame of mind going into This Is Where It Ends before you read my review. 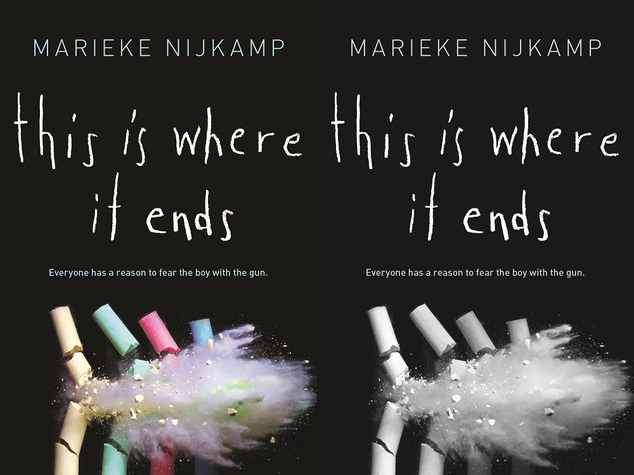 This Is Where It Ends is told using four high school age narrators: Claire, Tomas, Autumn, and Sylvia. I fell instantly in love with the first character I was introduced to, Claire, she was incredibly sassy and a very likable character, something that I cannot say for some of the books I've read in first person. While I did enjoy that this way of writing the novel allowed readers to get an insight into the shooting from different points of view, I did feel that there was a lot of information thrown at the readers during each character's turn. At the beginning of the book, I found myself having to write down notes about each character's lives and all the things that were 'wrong' with them. This sort of left me feeling disconnected to them, they felt fake, and definitely not because I wasn't enjoying them as characters but it was almost as though the author was over compensating for the fact that the book takes space over 54 minutes in a kind of 'okaysothischaracterhadthesebadthingshappentothemsothenitdirectlymadethischaractersadwhichthenaffectedanothercharacter..." in each chapter/character change. About half way through the book, once all the background information had been dealt with and I was aware of family situations, important life events, relationships, and friendships, I felt myself settle into the book a bit more and was able to connect with the characters on a better level. I cannot say that I disliked any of the main characters, I actually enjoyed them all for very different reasons. One thing that I definitely enjoyed about this book was the use of social media. Now, I read this in eARC format, so it wasn't perfect, but what was obvious was that social media was to play a big role in this book, and I say big role even though it wasn't there every other page. It made the story more realistic, there were doubters and cruel people, concerned friends and family reaching out through Twitter, and even the inclusion of blog posts from a character that you may think is unimportant at the beginning. This use of social media made the plot far more real for me, because yes, in times of panic, we do head to social media to see what we can find out and who we can contact. By the end of the book, I was completely and utterly sucked in. I read it while I was home alone and kept checking the time so that I wouldn't be walked in on blubbering like a baby. I felt that writing about a topic like school shootings is a very brave thing to do, something that you would expect criticism for, but I feel as though the subject was dealt with very respectively, even if some of the events that occurred during the story were incredibly harsh and hard to swallow. The current release date is set for January 5th, 2016. I'll update this review with links when the book is out! You can pre-order the book at Barnes and Noble, and Amazon. Marieke Nijkamp a storyteller, dreamer, globe-trotter, and diversity advocate. She holds degrees in philosophy, history, and medieval studies. 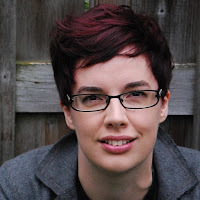 Her debut YA novel THIS IS WHERE IT ENDS will be out from Sourcebooks Fire in 2016. The book also has it's very own blog on Tumblr, so make sure to follow it and stay up to date with the novel! I hope that you enjoyed this review, I certainly enjoyed reading This is Where it Ends. Make sure to leave your comments down below and don't forget to subscribe!